Imagine a world without the song of birds. Now imagine an empty sky, no birds chirping outside your window in the morning when you drink your coffee. Sounds terrifying, doesn’t it? Unfortunately, this might become a reality in the future, especially in areas where the savagery of human action is rapidly destroying the habitat of plant and animal species. 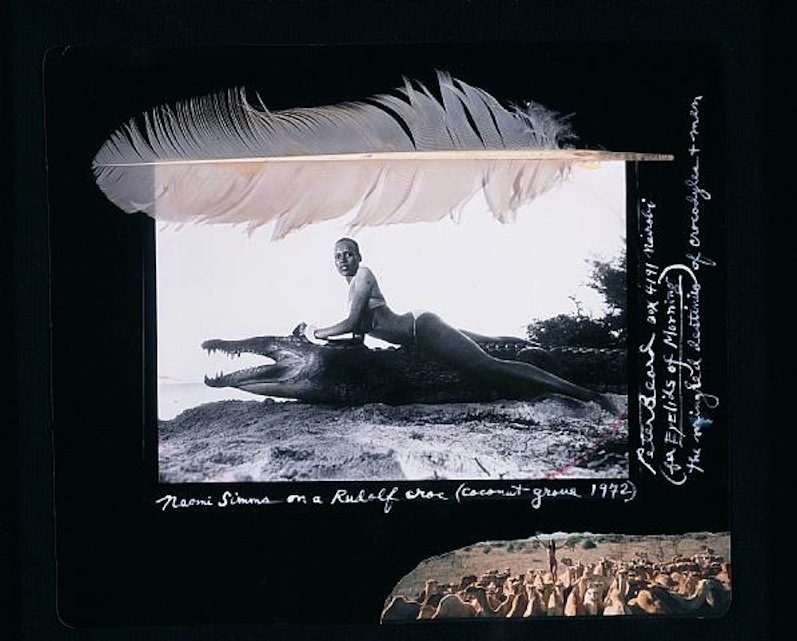 Naomi Simms on a Rudolf Croc, 1972 by Peter Beard. According to the Grantham Institute, a major institution dedicated to climate and global environmental change research, nearly 30 percent of species in South America are endangered. Among the causes for the critical situation of biodiversity in the region are land clearances to make way for agriculture, road building, and industrial logging, as well as the impact of hunting. This development is taking place due to population growth, but it is imperative that we make it sustainable. Convinced of the power of music as a vehicle for a positive message, Robin Perkins, who goes by the moniker El Buho, has created something he likes to call “leaf music,” characterised by a harmonious combination of the sounds, textures, and imagery of the natural world, mixed with Latin American rhythms and traditions, all through the lens of electronic music production. Born and raised in the hills of northern England, his fascination for South America’s incredible diversity started at a young age and awoke in him a desire to study and include in his work all the richness of this vast region. Perkins has travelled and lived in many cities all over Latin America, a journey which has set him on a deeper path to dig into the roots of the region’s music. He was the mastermind behind “A Guide to the Birdsong of South America,” an album he envisioned as a way to raise awareness about endangered bird species, but also what their loss would represent to the biodiversity of the region. Working with several producers as well as tracking down the birdsongs of rare birds were challenging parts of this project, as well as discounting some species because their song just wasn't even recorded. During his research he found Xeno Canto, a group of bird recording enthusiasts, who gave him the permission to use these recordings. We need more conservation research, which will allow us to understand the environment, as well as major public education initiatives. But above all, we need to convince ourselves that the most effective acts of conservation come from caring deeply about the beautiful world we are trying to protect.